Unless you’ve isolated yourself in a cabin in the woods for the past several years à la Henry David Thoreau, I’m sure you have a good grasp on the cloud, the software that enables remote storage, enterprise resource planning, human resource and supply chain management, etc. The cloud has proven to be a valuable service for helping businesses streamline processes. Mark Hurd, the CEO of Oracle, has gone so far as to predict that by 2025, all enterprise data will be stored in the cloud and 80 percent of IT budgets will go toward cloud services. As I said before, though, you’re probably aware of all this. But do you have any idea what kind of a hand cloud computing has had in the design of the world’s fastest car? Chapman said that the project cares more about sharing their story and thereby getting younger generations excited about the mathematical and scientific fields than about breaking records. “For us, that’s where cloud is key,” he said. 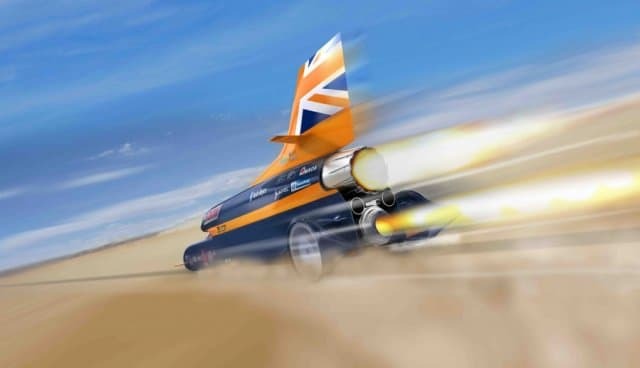 There is only one Bloodhound car, meaning no testing and no prototypes – the only way to get information is through the physical car. Every time the car is driven, the cloud gathers and analyzes the data it receives from these on-board sensors. Once that data is securely in the cloud, machine-based learning and other analytical tools help engineers to gain valuable insight that wouldn’t be accessible in a classic spreadsheet format. When asked what advice he would give to organizations hoping to implement cloud technology in the future, Chapman said that Bloodhound set out to use the cloud as a way to distribute the information they assembled. The full capabilities of cloud services will continue to reveal themselves in the coming years, but for now, aiding in the design of the world’s fastest car is nothing to sneeze at. In fact, it rather seems like the stuff of childhood fantasy, and Chapman seems to agree. “We jokingly say we’re part race car, part spaceship, part jet fighter,” he said.